It’s funny how a simple treat from the past can download a whole heap of memories into your consciousness. Have you ever eaten Vietnamese green bean cake? This stuff takes me back. A friend, stopping by Malaysia coming from Vietnam, picked this up for my family. 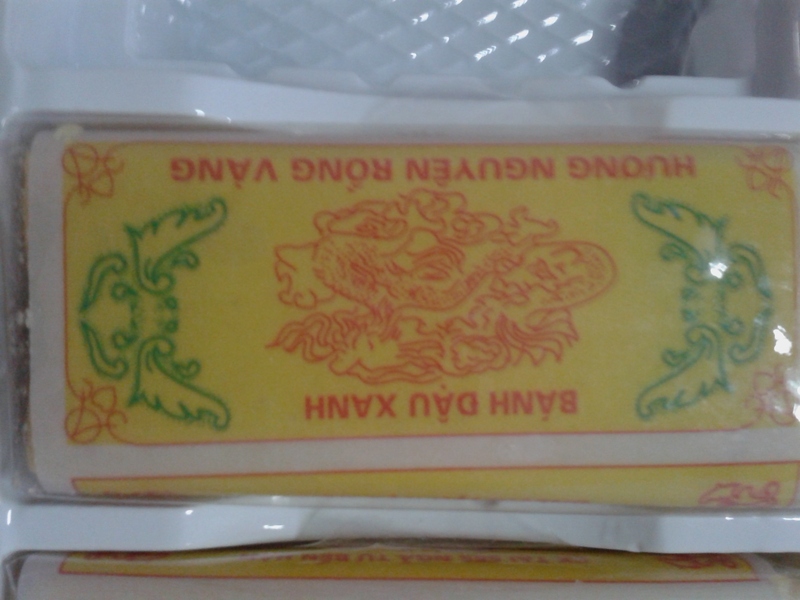 When we lived in Haiphong from 1994-1997, we were the recipients of countless boxes of the special sweet cake. If you haven’t ever had it, and most of you probably haven’t, it’s quite unique. It has an extremely crumbly texture with a beanish-almost peanutish taste. Super sweet and tasty. When I was first given one of these boxes back in 1994, I probably mocked it behind the giver’s back simply because I still had my extremely bland, close-minded American palate. But there is something about nostalgia which brings back the sweetness of the past – even if the past seemed short of it at the time. One bite of it yesterday was truly wonderful – both on the mouth and the mind. Here’s what it looks like on the inside. This wonderful treat is the claim to fame of Hai Duong, a sleepy little town midway between Hanoi and Haiphong. We used to regularly ride the train to Hanoi and as it made its 10 minute stop in Hai Duong, the vendors would pile on the train, hawking their wares – especially their green bean cakes. I never bought them. I lacked a need of it since my students at the time kept me and my child well-stocked. 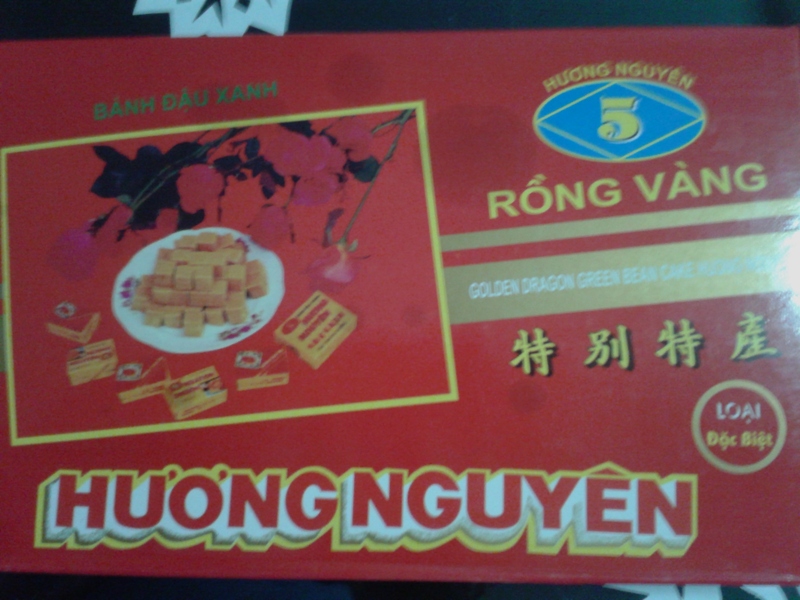 So on this eve of the Vietnamese New Year, it was nice to have a little treat from the good old days in Haiphong. I’ll always remember those little stops in Hai Duong. Oh, and by the way, Hai Duong has another claim to fame – lychee – some of the best, fresh lychee in the world are grown there, ripe each late May. How I miss it! In Part I of my post about my favorite place in Asia Part I HERE, I took the time to talk about the Vietnamese people who, indeed, make northern Vietnam a special place. But I felt I needed another post to round things out and highlight some of the other special aspects about this incredible place. Here goes. 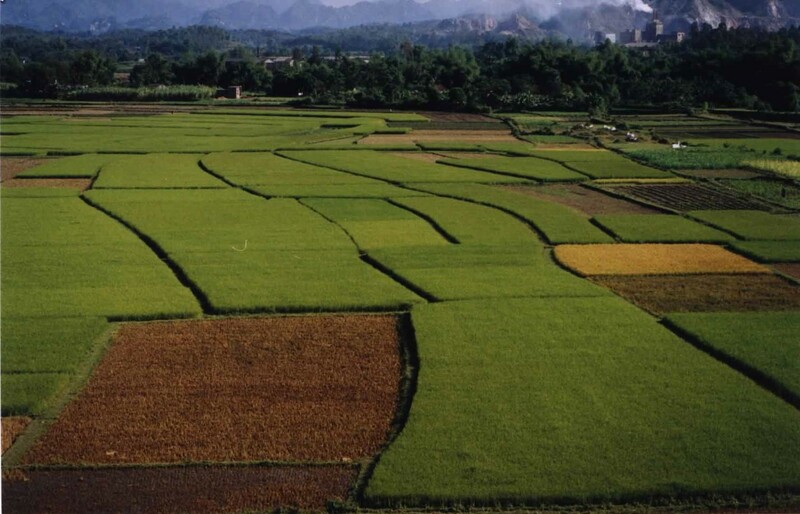 Sapa – an idyllic mountainous region in the northern part near the Chinese border. 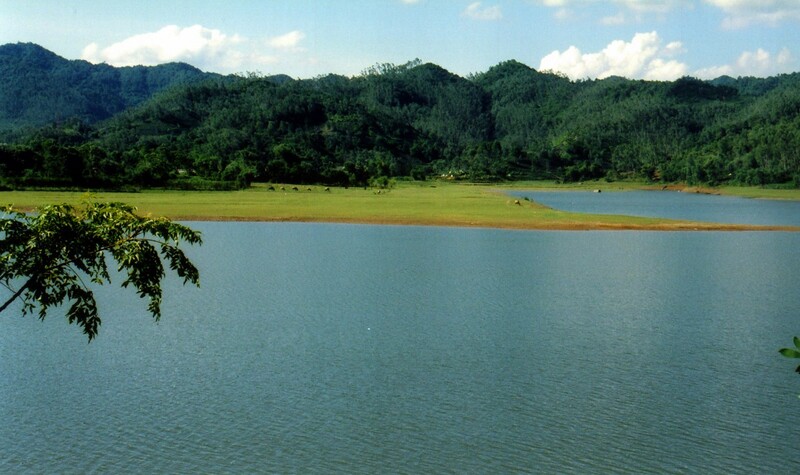 Breathtaking vistas, gorgeous valleys, and the charming and gracious ethnic minorities, who dot the countryside. Truly an unforgettable spot. 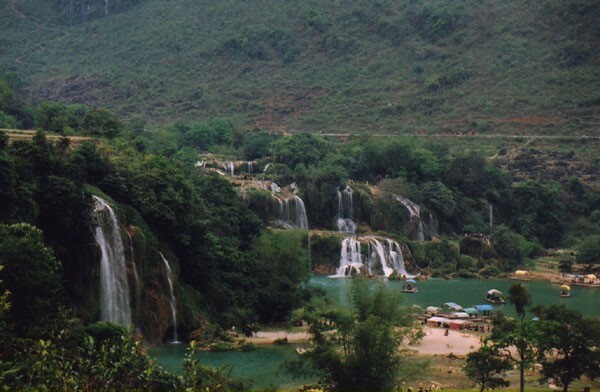 Cao Bang – mountainous peaks, terraced rice paddies, and the spectacular Ban Gioc Waterfall which separates Cao Bang from China. Spectacular. 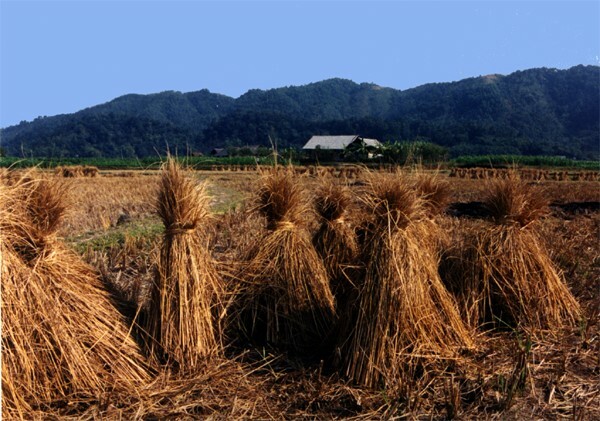 Hoa Binh – About six hours west of Hanoi stands the towering hills of Hoa Binh, leading into the tall foreboding mountains of Lai Chau. This is one of my favorite places – staying in a house-on-stilts in a Black Tai village. Once again, spectacular scenery. Ha Giang – More gorgeous mountains and hair-pin turns, plus when in season, stop and pick some oranges and enjoy the picturesque provincial town. Thai Nguyen – my old home – take a two hour motorbike ride north towards Lang Son and stop at Phuong Hoang Cave. A rigorous hour hike up the mountain will reward you with sweeping views and the massive cave, complete with cathedral like ceilings that open into the sky permitting sunshine into the cave. 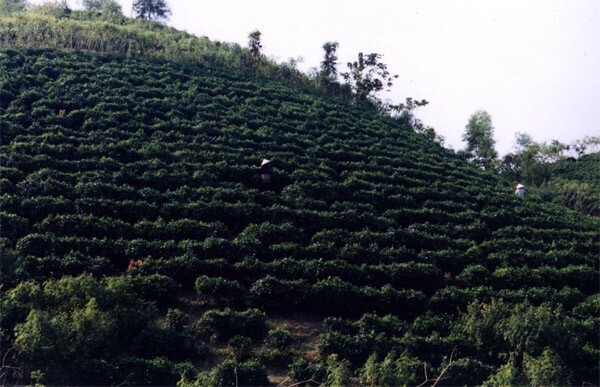 Dien Bien Phu – The one spot in northern Vietnam which has yet eluded me. I shall do my best to get there someday because it was the site of one of the most important battles of the 20th century. The Viet Minh trapped the French garrison in the valley, and when the battle was over, so was French colonialism. Vietnam had their independence, the first time an Asian country defeated their European oppressor. Hanoi – Hanoi is one of my favorite cities in the world. The Old Quarter is chaotic and charming. You can visit Ba Dinh Square where Ho Chi Minh rose to declare independence on September 2, 1945. You can see the historic Hoa Lo prison, home to many Vietnamese patriots during French Colonialism and for American pilots during the Vietnam War. 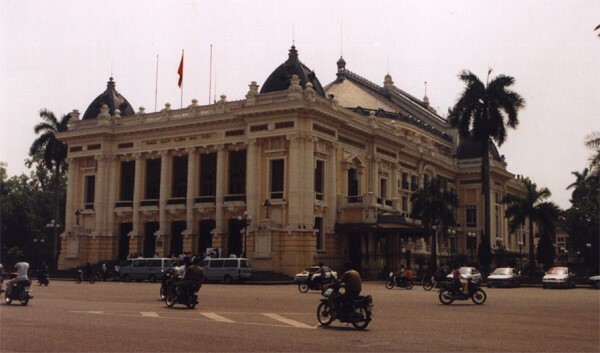 Visit the Hanoi Opera House modeled after the Paris Opera House. Tan Trao, Tuyen Quang – A fascinating out of the way place which was the Viet Minh HQ during the summer of 1945 – the very summer that OSS paratroopers came in to train the Viet Minh to fight against the Japanese. Plus, it has the most amazing Banyan Tree you’ll ever see – clearly an inspiration to me as it is the centerpiece of my 3rd novel, The Reach of the Banyan Tree, set to release in July this year. Ha Long Bay – most likely the most famous tourist site in northern Vietnam. A spectacular part of the Gulf of Tonkin with limestone islands dotted throughout the region. A must see! Phat Diem – a Catholic town – believe it or not – visited by then Vice President Richard Nixon back in the 1950s. The main catholic complex has some fascinating architecture with a hundred year old cathedral. Perfume Pagoda – a gentle canoe ride and a rigorous walk to enjoy some amazing scenery. Bich Dong and Hoa Lu – the site of the ancient Vietnamese capital and the site of “Ha Long Bay on Land” – truly a special place. If you get the idea that there are endless places to go in northern Vietnam, then you would be right. Hop on a motorbike and explore. I’ll leave with with a few photos. 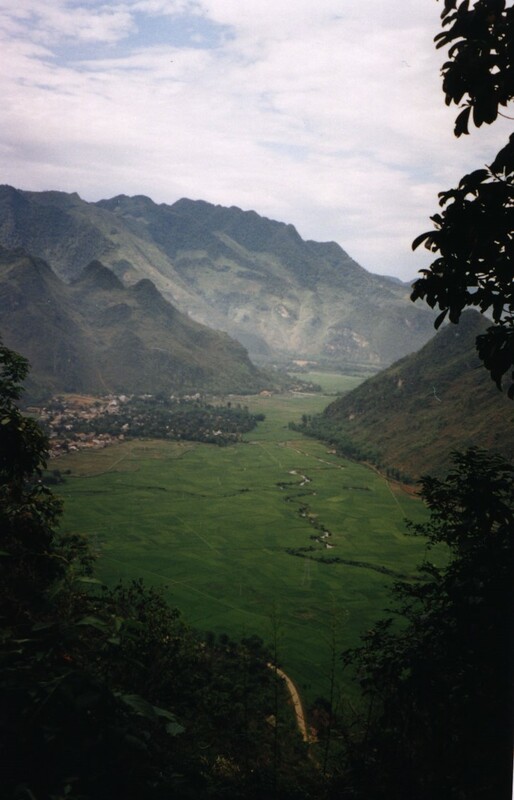 Northern Vietnam – my favorite place in Asia. A friend posted a selfie outside the newly opened BK at Hanoi Noi Bai Airport. Globalization is complete. My Vietnam is dead. I arrived at Noi Bai Airport for the first time on a dark, stormy night in August 1994. My wife, 15 month old daughter, and I were picked up at the airport by an official from the Vietnam Maritime University in Haiphong where we would be teaching. Haiphong is a port city off the Gulf of Tonkin about 60 miles east of Hanoi. I remember the van ride to Haiphong vividly. We had been travelling for 30-some hours, and we were dead tired. Our heads bobbed constantly as we nodded off even as our official greeters did their best to welcome us. The road was mercilessly bumpy – our vehicle bounced around like we were jumping on springs rather than rolling on tires. At one point, we thought we were going to die. The driver slammed on the brakes, and we all went flying into the seat in front of us, wide-eyed, wondering what had happened. The headlights shone brightly on a herd of dark-gray water buffaloes which were just trying to cross the road. The ride to our university took about 3 hours. Did I mention before that it was only a 60 mile trip? Well, this is the Vietnam I remember and know well. There was only one road to Haiphong – not the highway that is there now – and the road was in horrible condition, preventing anyone from going quickly if they wanted to keep their lunch down. The road also had to cross two rivers where there was only a one-lane bridge – which also shared space with the train. If a train was at the bridge, or if someone had broken down, or if there was a long line of cars from the opposite side, traffic just came to a stop. We would get out of the vehicle and wait a good 20 minutes until it was our turn to travel over the bridge. On a good day, you might have been able to travel to Hanoi in 2.5 hours. My longest trip back in the day lasted 4 hours. Very few cars – the popular ones were the Russian Lada from the 1970s. Only government entities or large companies had vehicles. Motorbikes were only starting to become more common. Inside a city, the best mode of transport was by bicycle or by Xich Lo – the three-wheeled “pedi-cab” where you sit up front and the driver would pedal you around. The new Hanoi airport had not yet been built, and the old airport was still used, including its small, dingy building which was just creepy. Foreign food was simply not available in Haiphong. Even in Hanoi, there was no place to buy pizza, burgers, or any other kind of foreign food. Any foreign food in 1994 would have had to have been purchased from one of the few upscale hotels. And to further illustrate what Hanoi was like, we called 1994 Hanoi “B.C.” – that is, “Before Coke.” That’s right. We arrived in Vietnam before Coca-Cola. That’s hard to do. The shops carried Coke bottles from China which were always flat. Sometimes you could splurge for a Coke can from Singapore, but those were rare and expensive. I have lots more examples which I’ll share in a future post, but in 1994, we never dreamed that Vietnam could ever change enough to have a Burger King open in Hanoi. It took twenty years, and now the end is near. McDonald’s, too, is on it’s way. Oh, how I would trade every McDonald’s in Malaysia for one Vietnamese Pho street vendor. Much has been said recently about The Amazing Race using the downed wreckage of a B52 in a Hanoi lake as a prop for their TV scavenger hunt. CBS just came out with an apology for the producers lack of taste in choosing a scenario which was offensive to veterans and others alike. They were right to apologize because when you think of the magnitude of the situation, that B52 represents a lot. If you read my novel Beauty Rising, this may sound familiar. Martin arrives at that very small lake with the B52 wreckage and is quickly overcome with the gravity of the situation. He parallels that site with the war experiences of his father and comrades. It becomes a symbol of the tragedy of war that destroyed the lives of many fine soldiers and alters the lives of many more, like a Martin’s father. How much better would it have been to use that wreckage to teach the contestants about the sacrifice and cost of war. But instead they chose to disrespect it. It is too bad they didn’t think it through.